The ghost of "Pierre," believed to be a Senator who died of a heart attack in his mid to late forties while debating a hot political issue, is said to haunt the upstairs of the Old State Capitol Building. Several security officers report alarms (motion activated) going off in the middle of the night and video cameras showing no sign of anyone in the vicinity. One female security guard briefly glimpsed "Pierre" one night upstairs where the Senate used to meet. The guards and tour guides at the building also report instances of doors opening and closing when no one else is in the building. The crew from the popular TV series "Ghost Hunters" visited the castle! Check out the footage on YouTube, and watch for us on the SyFy channel this fall. The building originally housed the old location of the Baton Rouge General Hospital. The bottom floor of the building used to serve as the hospital morgue, but now it houses a cafeteria and several offices. The old morgue freezer was turned into a file storage facility during the renovations of the new office complex. At night, the entire floor drops several degrees colder than the rest of the building. Security guards refuse to go down there and many complaints of strange noises coming from the bottom floor. The elevator is even said to go up and down at night when no one is there. Usually, during September or early October, the ghosts of ragged Confederate soldiers can be seen walking along or crossing Highland Road beginning around Lee Drive (south of the LSU campus) and the sightings continue as far down as Gardere Lane. There are numerous reports of soldiers scurrying across the road late at night. In 1999, there was an incident in early October of that year in which several drivers called police when a filthy, bleeding young man in a Confederate uniform and carrying a rifle staggered across the busy intersection of Lee Drive and Highland Road around 5:00 p.m. Police searched the area and found no one. Several workers have claimed to see a woman dressed in white wandering the upper floors of the Hilton Hotel. On the eighth and ninth floors, people claim to smell cigar smoke on occasion, as well as mysterious knocks on doors at night. The ninth floor was the original floor for the Huey suite. Room 912 is said to especially active - a housekeeper has heard music and faint voices coming from the room. Several employees say that one of the service elevators will sometimes go directly to the eighth floor before it will bring you to the requested floor. 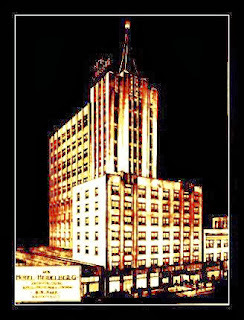 At night, front desk employees have witnessed guest elevator #1 go down to the basement, open its doors, then go back up by itself. All of these occurrences happen only on the Heidelberg side of the hotel, no strange events ever seem to take place on the Capitol house side. Formerly a women&apos;s dormitory, several accounts of murder/suicides have been reported in LSU&apos;s Pleasant Hall. Most famous is the incident in Room 312. As the story goes, a young woman and her boyfriend got into an argument late one night. The young woman shot her boyfriend but he survived. She ran upstairs to her room, 312, and committed suicide. Reports of strange noises and sightings have been recorded. Now housing Louisiana State Police Headquarters and Barracks, the Old State Penitentiary is claimed to be a hotspot for ghostly activity. The old execution chambers and morgue now house offices. The main two-story building is built above a basement that seeps with water due to the high water table in Louisiana. Employees have experienced sounds of footsteps on many occasions without explanation. Other strange instances reported included radios in offices turning themselves on and off. This downtown area nightclub is inhabited by at least one known ghost. During the 1880&apos;s the building served as a firehouse. It has seen many occupants since then. It was even used as a "wino flophouse" over thirty years ago. This era is when the spirit is believed to have originated. Manifestations include apparitions of a young man, beer taps turning on by themselves, strange noises and flying glassware. 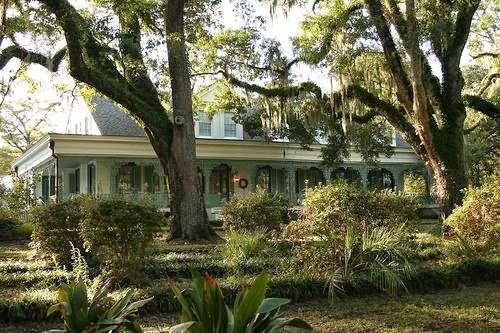 Built in 1796 by General David Bradford, The Myrtles Plantation home is said to be haunted by several restless ghosts. This plantation has long been regarded as one of "America&apos;s Most Haunted Houses." Some researchers say as many as ten murders have been committed there, but others have only been able to confirm one murder at the Myrtles. 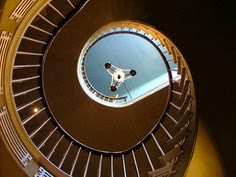 Legend has it that the plantation house was built on Tunica Indian burial mounds. Supposedly, General Bradford was the first to see a ghost at Myrtles - a naked Indian girl - who is still occasionally seen today. Other resident figures you may encounter include Chloe, a former slave who was allegedly hung on the premises for killing two little girls, who have also been spotted playing on the veranda. William Drew Winter, an attorney who lived at Myrtles from 1860 to 1871, who was shot on the side porch of the house by a stranger. As Winter staggered into the house and began to climb the stairs to the second floor, he collapsed and died on the 17th step. It is his last dying footsteps that can still be heard on the staircase to this day. The ghosts of other slaves allegedly occasionally show up to ask if they can do any chores, and the grand piano has often been heard to play by itself, repeating one haunting chord. Mystery Tours: Friday & Saturday evenings at 6, 7 & 8 p.m.; reservations recommended. Nottoway Plantation has seen much in its 150-year history, the pleasant and the not so pleasant. The story of Nottoway is recounted in tours of the home, developed from years of historical research, interviews, and documents from the early years, but the complete story could only be told by the Randolphs themselves. If you happen upon the shadow of a young, auburn-haired woman, perhaps she can give you further insight into her day-to-day life at Nottoway. Several guests and staff have reported seeing a ghost fitting the description of the Randolph&apos;s youngest daughter, Julia Marceline, in the girls&apos; wing of the house. A visiting psychic, seeing Julia&apos;s photographs, identified the ghost as Julia. Today, Nottoway Plantation is open for tours and visitors are invited to experience and savor the old South - the ultimate in Southern grandeur and hospitality. Guided tours are offered from 9 a.m. to 4 p.m., seven days a week, beginning on the hour. 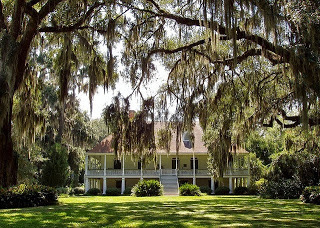 plantation in the country, (producing a monumental 20 million pounds of sugar each year), Houmas House Plantation was built on the site of a Houma Indian land grant. When Kevin Kelly purchased Houmas House Plantation and Gardens at auction in the late spring of 2003, the house had been off the trail of River Road tourism for a couple of years. When Kelly began his transformation of the property in the summer of that year, no part of the once-grand mansion was left untouched. It was an extreme makeover and it was disruptive. Literally, no stone on the property was left unturned, and in the process, some say, a spirit was awakened. 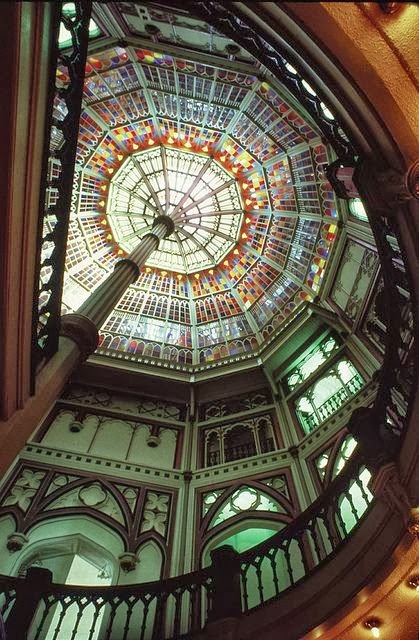 A worker from the electrician&apos;s crew was the first to report that he had seen a young girl descending the freestanding stairway, and later in the large central hall. More recently, tour guides and guests claim to have seen a little girl, usually in the morning or later in the afternoon. Two Houmas House families have lost young daughters to illness. In 1848, the young daughter of Col. John Preston died while the family was in South Carolina. Around 1900, Col. William Porcher Miles and his wife, Harriet, lost their daughter to illness at age 7. She was laid to rest in the family cemetery. The cemetery disappeared and several of the gravesites were disturbed when the levee was built after the 1927 flood. Today, the graveyard would be located under the levee and out onto the batture. Houmas House offers Nighttime tours, Wednesday through Sunday. Parlange Plantation was built in 1754 by Marquis Vincent de Ternant on land that was granted to him by the French crown. The house is still owned by his descendants today. It is said that one of them, who lived many years ago, has never left. In 1757, Vincent de Ternant died and left the estate to his eldest son, Claude. Shortly after, Claude&apos;s wife and his first child died during childbirth. He mourned for over a year and then remarried his second cousin, Virginie, who was only fifteen at the time. She would bear him four children, Henri, Julie, Maurius, and Marie Virginie. After losing both of her sons, Virginie became very strict with her daughters. Marie Virginie was obedient, but Julie was another matter. She fell in love with the son of a local plantation owner but Virginie had decided that her daughters would only be allowed to marry French noblemen. Julie continued the affair until her mother assigned a servant to guard her room each night to keep her from sneaking off to meet her lover. Julie stayed in bed for days, crying and pleading with her mother to change her mind, but it didn&apos;t matter. Virginie had her own plans for Julie&apos;s future. She had been in touch with the family of a young man of noble French birth and had already begun planning a wedding for her. Finally, her mother broke the news to her and Julie, broken by this time, agreed to go through with it. The wedding ceremony was to take place on the grounds of the plantation. An hour passed and suddenly Julie snapped! She could not keep up the charade and ran screaming from the house. She ran through the alley of oak trees in front of the house and then flung herself against the base of one of the trees, shattering her skull against the trunk. The next day, Julie was buried on the grounds of the plantation in her wedding gown. The owners say that Julie Vincent de Ternant has never really left. She is most often seen by the light of the full moon as she makes her terrible journey through the oak trees in front of the mansion. Claude de Ternant died long before his wife. At a social function, Virginie met a handsome widower named Charles Parlange. They married and returned to Louisiana and the house became known as Parlange, a name that has stuck through the years. Parlange Plantation is located on 8211 False River Rd. off Hwy. 1 in New Roads, La. It is privately owned, and open by appointment only. For appointments or more information call (225)638-8410. Get away to Baton Rouge this Halloween to start your own #HauntedBR adventure! 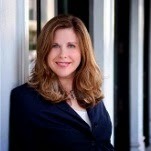 Karron Alford is the destination content manager at Visit Baton Rouge. Most days, you can find her looking for creative, original content to include on VisitBatonRouge.com. Have an idea; connect with Karron through Visit Baton Rouge’s contact page.